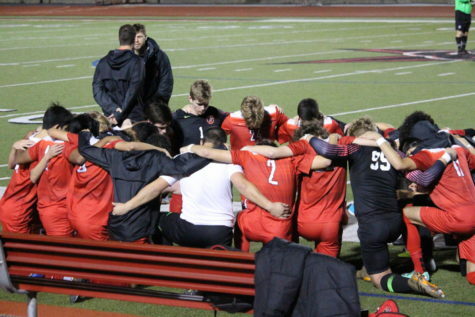 The Coppell High School Varsity Soccer team prepares for their match against Keller Timber Creek by huddling in a circle on Friday at Buddy Echols Field. The Cowboys play Marcus on Friday at 7:30 p.m. at Buddy Echols Field. 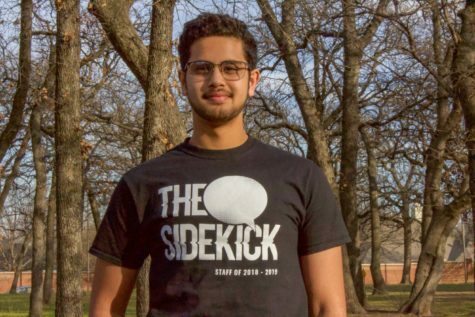 The Coppell boys soccer team has its fourth district match against Marcus at Buddy Echols Field on Friday at 7:30 p.m., making it the first District 6-6A home match of the season. The Cowboys initially started strong this district season, winning their district opener, 5-1, against MacArthur on Jan. 22. But their strong start was not long-lived. In their next match that Friday, the Cowboys fell, 3-1, to Hebron. However, the Cowboys bounced back, clenching a close, 1-0, victory against Lewisville thanks to a goal by junior striker Tom Vazhekatt. Now, ranked third in District 6-6A with a record of 2-1-0, Coppell is prepping to face off its old rival – Marcus. Marcus and Coppell have a long history tracing all the way back to the 2013 season. The two teams have faced off in several crucial matches since, ranging from tournament to playoff matches. And now this year, the two teams find themselves as rivals once more as they were placed in the same district. With a 2-0-1 record so far and cruising at second place in District 6-6A, Marcus has been fairing a bit better than Coppell. Something worth noting is that Marcus recently won 3-0 against Hebron this Tuesday, whereas the Cowboys recently suffered a 0-1 loss to it last Friday, which points to expectations of a competitive match this Friday. Marcus’ coach this year remains Chad Rakestraw, Coppell’s previous coach who brought it its last state championship in the 2016 season. Rakestraw left in the 2017 season to coach at Marcus.